Poll: Should pensioners pay for their TV licences? 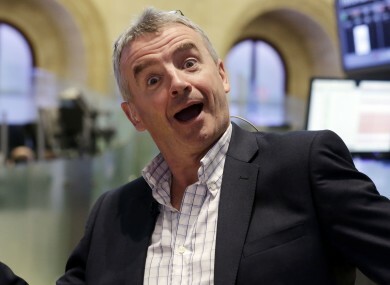 Ryanair boss Michael O’Leary thinks free television licences and free travel for over 65s should be done away with. What do you think? MICHAEL O’LEARY has come up with another controversial suggestion — making retired people pay for public transport and the TV Licence (soon to be the Broadcast Charge). The Ryanair CEO said such “political pork belly” programmes had to stop, but added that “if you really have old and infirm people who need support, that should come through social welfare”. Do you agree? Is it time to do away with such schemes and redirect the money saved? Absolutely not. They paid taxes all their working lives and deserve the breaks. Wealthy pensioners should have them taken away. They should be means tested. Yes. Scrap those schemes, we can't afford them anymore! Email “Poll: Should pensioners pay for their TV licences?”. Feedback on “Poll: Should pensioners pay for their TV licences?”.